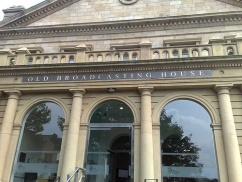 The first Northern UK Bloggers’ Meetup took place yesterday at the Old Broadcasting House in Leeds — which is now one of the facilities of Leeds Met University, which happens to be where I was a student back in 2001-2004 — it kind of felt like I’d come full circle! The aim of this first session was to decide on the format for future events (which we kind of did), have some informal discussions about blogging and basically get to know each other. In total there were about 20 bloggers that turned out for this initial event, we proceeded into the “boardroom” — not quite like the Apprentice with Sir Alan Sugar waiting for us — there was certainly no intimidating grillings, it was a very relaxed and good-humoured affair. Jamie Harrop gave a great presentation about a cool new website statistics service called Woopra. This sparked some interesting discussion by all those present and he also gave some beta invite codes out so everyone could go away and have a play with it. 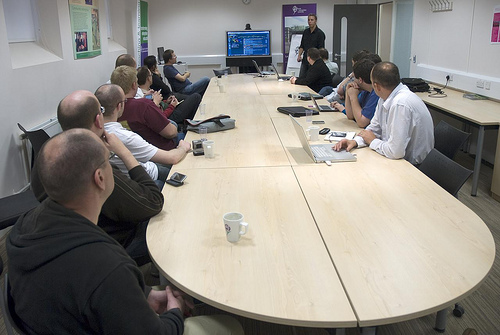 We then had a ‘show and tell’ session about our websites and/or online businesses, we even ended up using mobile broadband – I found this really useful and got some interesting feedback and tips which will most likely influence the future development of Zath! 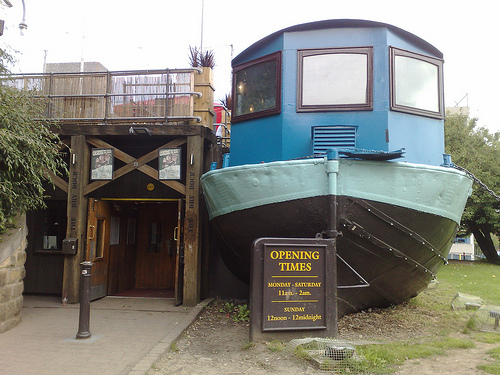 Then to round off the meetup we then walked the short distance down to the ‘Dry Dock’ pub — a boat that’s been converted into a pub — again a throwback to my uni days! 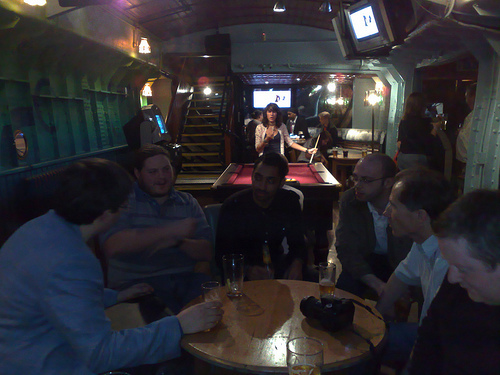 A big thanks go out to Chris Garrett and Jamie Harrop and anyone else involved in organising this blogging meetup. They’ll hopefully be more of these events happening in future, most likely taking place over a whole day rather than just starting at 6.30pm, which should mean more people with long journeys, can make the trip over. If you’re a fellow Northern UK blogger, feel free to join email discussion list and keep an eye on Chris G’s site — which is also filled with loads of useful blogging/website information. Strawbleu took some great photos that you can see on his Northern UK Bloggers Meetup Flickr collection. Here’s a list of sites that I’ve managed to put together of those people in attendance at this meetup — if I’ve missed your site, just let me know and I’ll add it in!